Back Cover: "According to her best friend, Frankie, twenty days in Zanzibar Bay is the perfect opportunity to have a summer fling, and if they meet one boy every day, there's a pretty good chance Anna will find her first summer romance. Anna lightheartedly agrees to the game, but there's something she hasn't told Frankie--she's already had that kind of romance, and it was with Frankie's older brother, Matt, just before his tragic death one year ago." Frankie, Anna and Matt are next door neighbors and best friends. They do everything together. Anna and Matt fall for each other but keep it a secret, including Frankie in order to avoid hurting her feelings. Matt will tell her at the right time. But the right time never comes when Matt dies from a heart defect in a car accident with Anna and Frankie. Anna decides never to tell Frankie. Now Frankie and her family are going to their summer vacation home in Zanzibar Bay, California for the first time since Matt died. They invite Anna to go along. As they all deal with the memories and living life, Frankie comes up with the 20 boy summer rule. They must meet a boy a day, each until they find the one. After a few days, both girls get involved with Sam and Jake. Which leads to nights of them sneaking out for midnight rendezvous and lying to their parents about their daytime activities. Ultimately a fight between Frankie and Anna evolves, threatening to destroy their relationship when she discovers Anna's journal and reads all about her feelings for Matt. 20 Boys Summer is well written, poignant and heart wrenching at times as the girls and Frankie's parents deal with the death of Matt, love and friendship. It gives an honest account of how each person individually deals with their grief and how they work through it. Thank you to Caitlin of FSB Associates for sending me an Advance Reader copy of the book. "What I liked about this book was the truth of it. I had so much sympathy for Anna and Frankie, as well as their parents for surviving Matt’s death. I wanted these girls to make better decisions and find a way to deepen their friendship. " 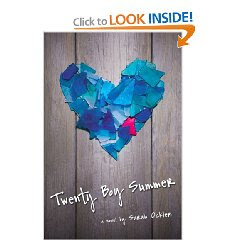 "TWENTY BOY SUMMER deals with some mature issues including teenage sexuality. In fact, one of the major story lines is about Anna's attempt to meet twenty boys over the summer and lose her virginity to one of them -- they actually refer to it as "Anna's Albatross." I felt as if losing one's virginity was taken very casually in this story, and I kept hoping that there would be a big moral lesson at the end of the book. 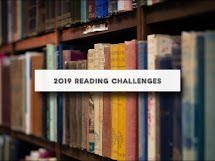 I realize that this casual approach might be reflecting reality in today's society, but I don't want my daughter reading about these things until she's much more mature." "First of all, the writing in this book is fantastic, at times downright beautiful. I could feel everything. Anna's grief, hope, attraction to the boy she meets, the sand under her feet, the fragile blossoming of hope in her heart. It knotted up my stomach at times and made it really hard for me to put this book down."